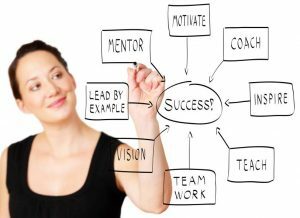 Medical service-center Vistamedi has a vacancy for the position of an HR Manager. 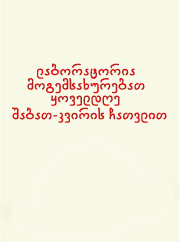 The vacancy text is available in Georgian language on Careers page. News for Cardiologists of Georgia! For the first time in the South Caucasus region – a new cardiac biomarker ST2 can be tested in “Vistamedi” Laboratory. For additional information, please visit this page or call any time: 2 18 33 18; 2 22 47 77; 568 61 00 61. The only known function of iodine in human body is participation in thyroid hormone production. In case of iodine deficiency thyroid hormones – thyroxine and triiodothyronine cannot be produced in optimal amounts. This condition is called hypothyroidism. Beside changes in thyroid function, iodine deficiency is associated with enlargement of thyroid gland that is called endemic goiter. Normal iodine intake is essential for uncomplicated course of pregnancy and delivery. Iodine deficient hypothyroidism is associated with infertility and in case of pregnancy, iodine deficiency is associated with severe complications, such as spontaneous abortion, stillbirth, preterm delivery, congenital abnormalities of fetus, mental retardation and low IQ later in adulthood. The most severe manifestation of iodine deficiency is cretinism, a medical condition characterized by significantly impaired physical and mental retardation due to mother’s hypothyroidism. Cretinism is medical curiosity nowadays but mild to moderate iodine deficiency during pregnancy is still affecting baby’s growing organism. 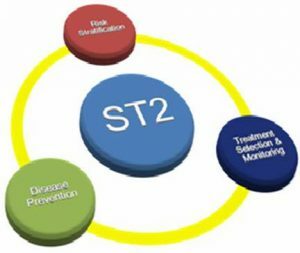 Normal reference range of TSH for non-pregnant women is 0.4-4.0 μIU/L, but as demand on thyroid hormones is increased during pregnancy, TSH has special reference ranges according to trimesters and it should be taken into consideration during interpretation of test results. In Georgia, as iodine deficient endemic region, most women should take iodine supplementation with particular dosage under medical doctor’s supervision. Read more about iodine deficiency in the article prepared by MD Natia Vashakmadze. Vitamin D is actually not a vitamin but a strong steroid hormone that acts on almost every cell in the body and participates in numerous vital processes. Vitamin D acts as an inducer and repressor of various genes and regulates more than 500 genes’ expressions. Vitamin D deficiency increases the risk of preeclampsia, preterm delivery, cesarean section, spontaneous abortion, low birth weight and gestational diabetes for pregnant women. And for infants vitamin D deficiency may have even worse results. Infants whose mother’s had a severe vitamin D deficiency may have inborn rickets. The link between vitamin D deficiency and rickets is very clear and has been known for a long time. 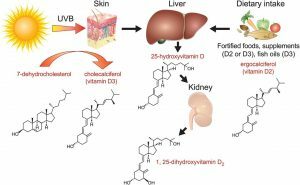 However very recent data shows us that vitamin D deficiency during pregnancy and early childhood may be far more dangerous than we could imagine. You can read more about this problem in the article prepared by MD Natia Vashakmadze. 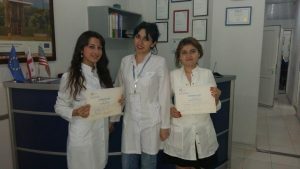 Under the supervision of Tea Khutsishvili, students successfully completed Vistamedi’s short training course in “Laboratory Medicine”.